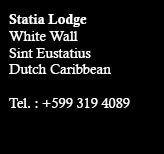 It’s not far from the Oranjestad center that Statia Lodge calmly welcomes you with an exceptional atmosphere surrounding its ten exotic wooden bungalows, its pool house and superb freshwater swimming pool overlooking the sea. 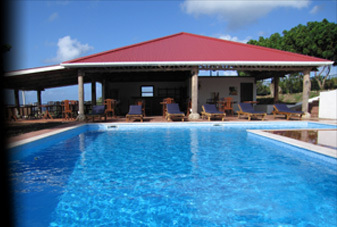 With a warm ambiance and refined decor, each of our bungalows contains one or two bedrooms with a large wooden bed, a fan, a bathroom with shower and WC, a fully equipped kitchen, as well as a magnificent terrace with a view of the Caribbean sea. Wifi Internet access is also at your disposal.